I love this song! I've been looking for this german version for a while and haven't ever found it. I'm glad free-scores.com has it. Très belle transcription de ce belle pièce. Pas de grosses difficultés, le plus dur sera d\'en faire une interprétation qui rende vraiment honneur à Schubert. Thank you so much, this is my very fav of all. Thanks for posting it and sharing culture. Its been long time I\'ve been searching for this with german lyrics. 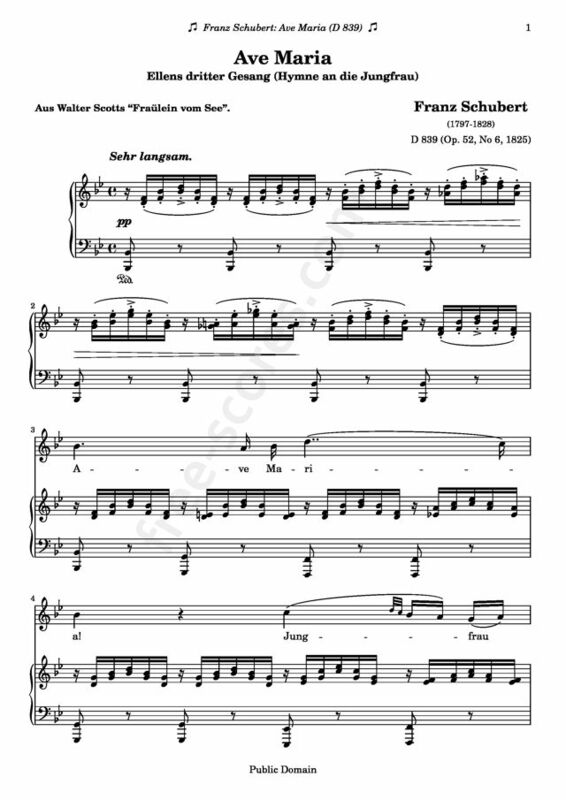 Schubert's Ave Maria has always been a favorite piece of mine, right alongside Beethoven's Moonlight Sonata, Chopin's Nocturne in E flat minor, and PAchelbel's Canon in D.
this is a very good basic piano version.